God will judge the nations. Indeed, there will be terrible judgments on earth and in heaven. This is the word of the Lord; it is as good as done. 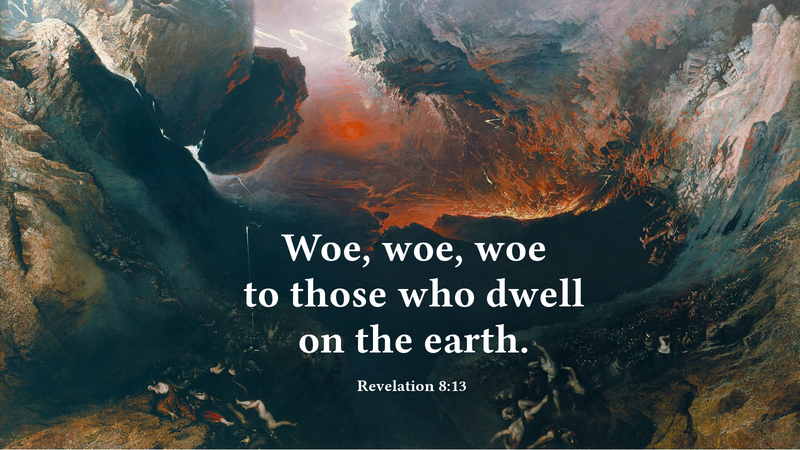 But what will we do about it; what will be our response to this looming and eternal judgment? Confronted with the promise of judgment—even in the thick of judgment itself—there has only ever been one satisfactory response. The key is keeping one’s eyes on the judge instead of the judgment, as we may read between the lines when Jesus states: “Blessed are the eyes that see what you see!” (Luke 10:23) The next paragraph beyond our Gospel Reading today makes it very clear. Love the Lord your God with everything you have: your heart, your soul, your strength, and your mind. Love God with all of these, and with all you have of them. And love your neighbor as though your neighbor is you. Responding with faith in the Judge brings life so that you may do these things —despite the coming judgment. Prayer: O Holy Judge, give me the desire to keep my heart fixed on you. Amen.